by Inner Traditions. Available at Waterstone's and other bookshops in the UK. 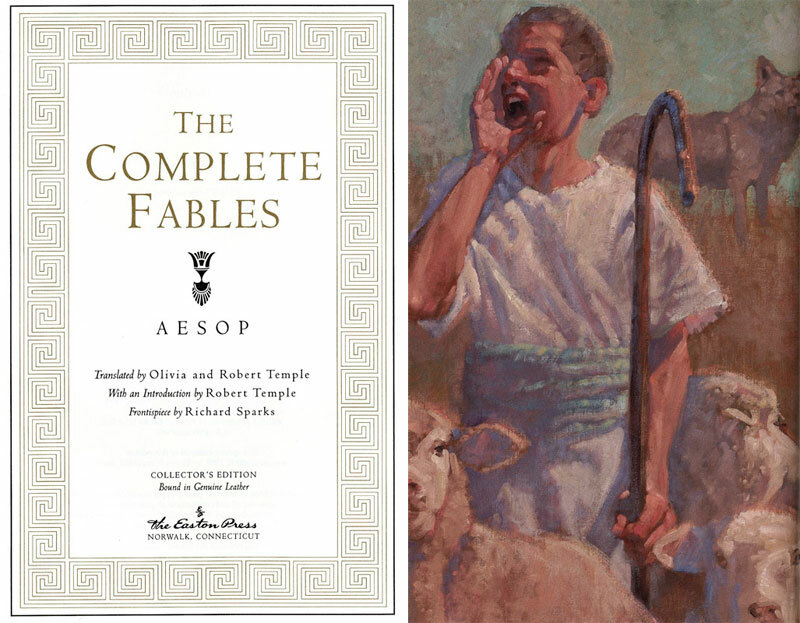 Robert and I translated Aesop's Fables for a new Penguin classic to replace the one that had been in print for over 40 years and which did not have as many fables. Our edition was first published in 1998 and received a huge amount of publicity, both in newspapers and on radio. I will add some of the reviews later. To buy the English edition from Amazon.co.uk please click here. To see photos from our New York book launch please click here. The book was reviewed in the Sunday Telegraph 'Paperbacks' section on 24th January 1998. To see the review please click here (PDF, 0.2MB). American leather bound special edition. 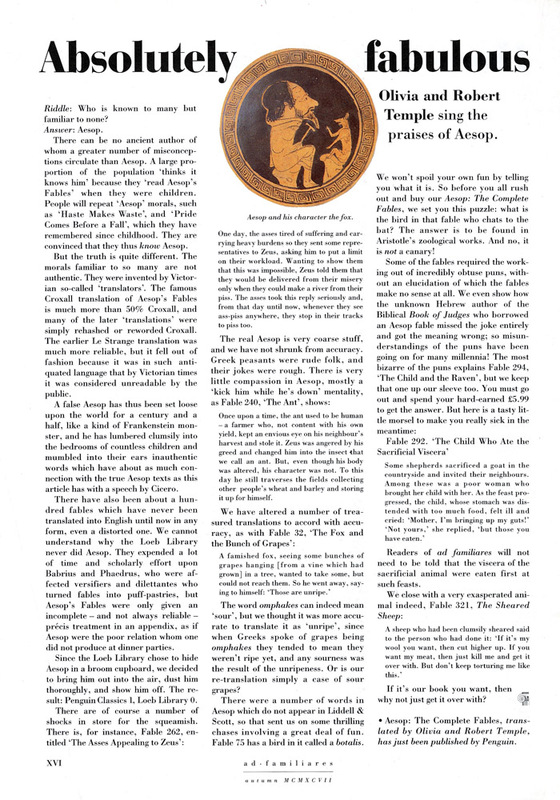 Read an article about Aesop - The Complete Fables from Friends of Classics magazine, Autumn 1997(JPEG). 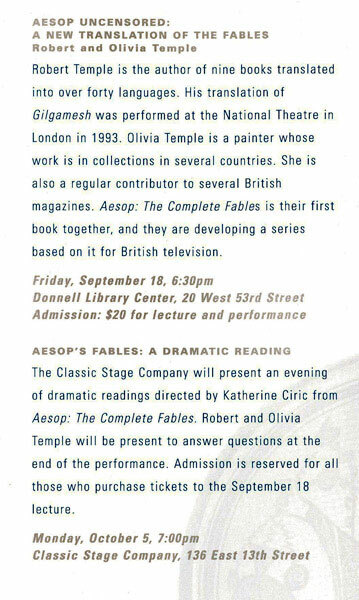 Lecture information from the New York Hellenic Foundation (JPEG). 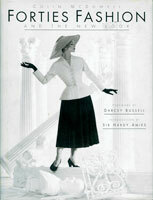 I lent a wartime dress and hat to the Imperial War Museum for a big exhibition on Forties Fashion. Click the link to see the dress, which was entirely made of scraps. It was in the section called 'Make Do and Mend' of this book that came out at the time of the exhibition. I found the dress and hat at the bottom of a box which I bid for at an auction in Somerset, not knowing what was in it. There was also a bundle of wartime bunting made up of hand-painted Union Jacks. 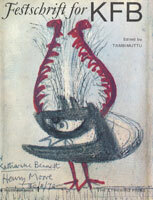 In the summer of 1972 I worked for Tambimuttu, the poet and Founder of the Lyrebird Press, whom Robert and I knew through mutual friends. I helped him to gather together the contributions for this little book which was in honour of Katherine Falley Bennett, an American woman who had supported the Lyrebird Press through hard times. It was the time of the coal miners strike and a three-day week. There were power cuts for days at a time and I drove across London in the dark with no traffic lights working and Tambi's flat lit only by candles. It was great fun and the war-time spirit prevailed. Tambi kept his own hours so was used to staying up all night and working in the dark. He would sit beside me in our old car draped in a sarong and lean slowly to one side and then the other telling me to go faster. Extracts from this book include a poem which I contributed (when I was still Olivia Nockolds! ), and my illustration which accompanies a poem by Robert.